The growing popularity of genetic testing has one large hurdle: There are fewer than 4,000 genetic counselors in the United States, and people who use commercial genetic testing kits may receive confusing or inaccurate information. 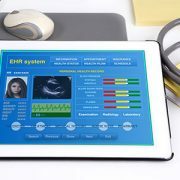 To combat this problem, a team of doctors from the Rare Disease Institute at Children’s National Health System created the framework for a smartphone application that would house educational videos and tools that provide reputable information about genetic disorders and genetic testing. 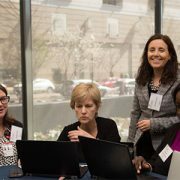 On April 13, 2018, Debra Regier, M.D., Natasha Shur, M.D., and their teammates presented the app “Bear Genes” at the 2nd Annual Medical & Health App Development Workshop, a competition sponsored by the Clinical and Translational Science Institute at Children’s National (CTSI-CN) and the Milken Institute School of Public Health (Milken Institute SPH) at the George Washington University. Bear Genes won first place, and the team received $10,000 to develop a working prototype of the app. The Bear Genes team was one of 10 who presented their ideas for smartphone apps to a panel of judges at the competition. Ideas covered a variety of topics, including emergency room visits and seizures related to menstrual cycles. Sean Cleary, Ph.D., M.P.H., an associate professor of epidemiology and biostatistics at the Milken Institute SPH, and his teammates proposed an app called “MyCommunicationPal” that would assist autistic individuals in reporting their symptoms to healthcare providers. Sean Cleary and Kevin Cleary, Ph.D., technical director of the Bioengineering Initiative at Children’s National Health System, created the hackathon to bring together professionals from various fields to create technology-based solutions for public health and medical challenges. Interested participants submit applications and app proposals in the fall, and 10 ideas are selected to be fleshed out at the half-day hackathon. Participants join teams to develop the selected ideas, and on the day of the event, create a five-minute presentation to compete for the top prize. About 90 people attended this year’s hackathon. This article originally appeared in the Milken Institute SPH pressroom. 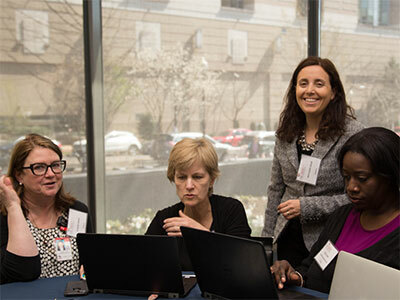 This April, the Clinical and Translational Science Institute at Children’s National (CTSI-CN) and The George Washington University (GW) will hold their 2nd Annual Medical and Health App Development Workshop. Of the 10 application (app) ideas selected for further development at the hackathon workshop, five were submitted by clinicians and researchers from Children’s National. 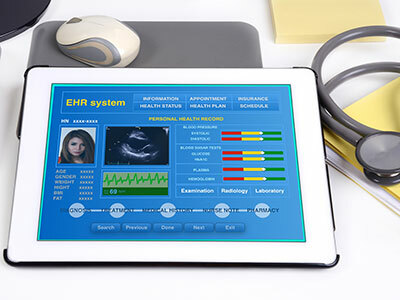 The purpose of the half-day hackathon is to develop the requirements and prototype user interface for 10 medical software applications that were selected from ideas submitted late in 2017. While idea submissions were not restricted, the sponsors suggested that they lead to useful medical software applications. A patient/parent decision tool that could use a series of questions to determine if the patient should go to the Emergency Department or to their primary care provider; submitted by Sephora Morrison, M.D., and Ankoor Shah, M.D., M.P.H. The Online Treatment Recovery Assistance for Concussion in Kids (OnTRACK) smartphone application could guide children/adolescents and their families in the treatment of their concussion in concert with their health care provider; submitted by Gerard Gioia, Ph.D.
A genetic counseling app that would provide a reputable, easily accessible bank of counseling videos for a variety of topics, from genetic testing to rare disorders; submitted by Debra Regier, M.D. An app that would allow the Children’s National Childhood and Adolescent Diabetes Program team to communicate securely and efficiently with diabetes patients; submitted by Cynthia Medford, R.N., and Kannan Kasturi, M.D. An app that would provide specific evidence-based guidance for medical providers considering PrEP (pre-exposure prophylaxis) for HIV prevention; submitted by Kyzwana Caves, M.D. Kevin Cleary, Ph.D., technical director of the Bioengineering Initiative at Children’s National Health System, and Sean Cleary, Ph.D., M.P.H., associate professor in epidemiology and biostatistics at GW, created the hackathon to provide an interactive learning experience for people interested in developing medical and health software applications. The workshop, which will be held on April 13, 2018, will start with short talks from experts on human factors engineering and the regulatory environment for medical and health apps. Attendees will then divide into small groups to brainstorm requirements and user interfaces for the 10 app ideas. After each group presents their concepts to all the participants, the judges will pick the winning app/group. The idea originator will receive up to $10,000 of voucher funding for their prototype development. 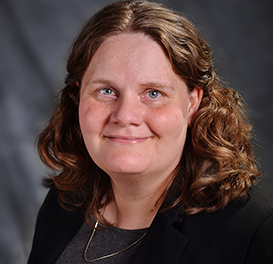 Debra S. Regier, M.D., Ph.D., a pediatric geneticist who is the director of education in the Rare Disease Institute at Children’s National Health System. It long has been recognized that traits can be passed down from parents to offspring in humans, just as occurs with other species. But medical genetics – the scientific field that covers the diagnoses and management of heritable diseases – didn’t get its start until recently. Only in the past century or so have researchers devoted significant resources to better understanding the patterns of inheritance or syndromes that have a genetic cause. Although this research has taken place around the world, the United States is well established as a leader in this field, say authors of an article published in the July 2017 issue of Molecular Genetics & Genomic Medicine. This article covers the history of the field, demographics of genetic conditions, legislation that relates to genetic disease and its burdens and highlights a long list of American researchers who have genetic diseases named after them. The list, comprising 86 scientists in a diverse array of fields including pediatrics, pathology, dermatology and oncology, is a testament to the devotion of these researchers to understanding a specific condition or, sometimes, group of related conditions. Their dedication, often spanning the entirety of their career, contributed to the wealth of knowledge now available that’s improved the outcomes of many individuals with these diseases, says article co-author Debra S. Regier, M.D., Ph.D., a pediatric geneticist who is the director of education in the Rare Disease Institute at Children’s National Health System. Beyond tracking heritable disease traits through families, modern genomics also has led to the ability to recognize specific genes that cause various disorders, speeding the process of diagnosis and intervention. Dr. Regier speculates that U.S. leadership in this field is largely due to the presence of large academic centers that are devoted to the study of genetic disorders, like Children’s National. Such centers give researchers dedicated time and space to better understand genetic diseases, both on a basic and an applied level. Despite the country’s stature as a frontrunner in this research arena, the United States has a relatively small medical genetics community, which researchers can use to their advantage. Although the United States has contributed to many medical genetics and genomic medicine advances that have helped patients worldwide, the history of the field in this country wasn’t always laudable, Dr. Regier says. The article also addresses the eugenics movement during the early 20th century. For example, in 1907, Indiana became the first state to enact involuntary sterilization legislation, an effort to remove “flawed” individuals from the gene pool that was followed by similar laws in several other states. In 1924, Virginia enacted a law that allowed eugenic sterilization of people with intellectual disabilities that was upheld by the U.S. Supreme Court in 1927. After atrocities committed by the Nazis during World War II, when the repercussions of these policies became more clear, these laws were gradually abolished. More recent legislation, the article’s authors write, aims to protect individuals from discrimination for genetic disorders. Thus far, 35 states have laws on the books protecting against employment discrimination, and 48 states passed legislation against health insurance discrimination based on genetic information. Twenty-four states endorsed statutes that limit the use of genetic information for other types of insurance, including life, long-term care and disability. The article is the first of a two-part series and was followed Nov. 26, 2017 by a second article addressing the current status of prenatal testing, reproductive options and reproductive law in the United States, as well as newborn screening, genetic services, rare disease registries, and education and training in genetics. “We can take pride in our progress, while still acknowledging that we have a long way to go in this field,” Dr. Regier says.